Facebook shares continued to slide on Tuesday, amid ongoing furore concerning the use of data collected by the social network. On Tuesday, US media reported that the Federal Trade Commission, a US regulator, is looking into Facebook's handling of personal data. The questions follow allegations that 50 million Facebook users' private information was misused by a political consultancy firm. Cambridge Analytica (CA), used by the Trump campaign in the 2016 US election, has been accused of taking personal data without users' knowledge. The firm's chief executive Alexander Nix has been suspended by the company's board. For months, high-flying tech stocks have been the darlings of Wall Street, powering ahead with ever rosier revenue predictions. Now, in the space of just two days, Facebook's market value has plummeted by more than $40bn - roughly the size of Jordan or Lithuania's entire economy - and Twitter shares have taken a beating too. All this has happened without any new legal challenges being laid at the doors of chief executives Mark Zuckerberg and Jack Dorsey. However, with investigations into Facebook's handling of user data looming on both sides of the Atlantic, investors are concerned. Increased regulation threatens the very business model on which the major social media firms are built - namely, to gather the data you and I give them with our likes, posts and shares, and use it to sell advertising space. The worry is that if governments begin to restrict the way in which this data is gathered and used, it would complicate the way Facebook and Twitter operate, and the negative publicity might also make users more reluctant to spend time on their networks. That said, some analysts have been warning that tech stocks have been overpriced, and were due a correction, regardless of the recent revelations. 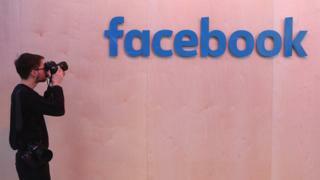 Facebook has said it is expecting questions but has not been told it is under investigation. "We remain strongly committed to protecting people's information," Facebook deputy chief privacy officer Rob Sherman said. "We appreciate the opportunity to answer questions the FTC may have." The firm in 2011 reached a settlement with the commission over charges that it deceived consumers about what data was shared and made public. The agreement involved monitoring the issue for 20 years, and raises the potential for significant fines in the event of violations. The scrutiny of Facebook comes after several months of pressure, following allegations that Russia used the social networks to influence the 2016 presidential election. The firm earlier announced changes to its news feed after the criticism and warned investors that the tweaks might hurt profits in the short-run. But Mr Zuckerberg told financial analysts last month that the change was important to the firm's long-term prospects, noting the ongoing debate about the utility of social media sites. Calls for users to delete Facebook have gained attention since the incident. Tuesday's share price decline came after Facebook shares fell almost 7% on Monday. The firm's share price is now trading around $168, similar to levels at the end of September.